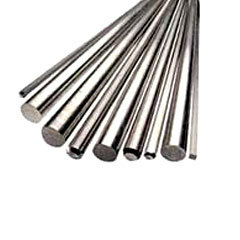 Serving the variegated requirements of various industries, our extensive collection of round bars are highly acclaimed by our clients spread across the globe. Fabricated by alloys and metals of impeccable quality, these round bars can be custom-made to suit the specific demands of our clients. Process: Annealed, Cold Drawn, Centreless Ground & Polish. Process:Annealed, Peeled, Centreless Ground & Polish.